The podcast is generously sponsored by the FAME organization and centers around the philosophy, programs, and resources of Dr. John Feierabend. You will hear some of the best practitioners and thinkers in music education, including our FAME Endorsed Teacher Trainers and Dr. Feierabend himself. You will learn about First Steps in Music and Conversational Solfege, Dr. Feierabend’s two most popular classroom programs, as well as how these programs and Dr. Feierabend’s philosophy and resources are used in every arena of music education. You’ll encounter discussions about the “real life” of a music teacher, both the challenges and successes. Additionally, you FAME Members will get a “deeper dive” into what was discussed on a few of our shows each season! My name is Missy Strong, the host and Executive Producer of the podcast. I am an elementary general/choral music teacher originally from Florida and now live in southern New Jersey. I am a FAME Endorsed Teacher Trainer in First Steps in Music and Conversational Solfege. 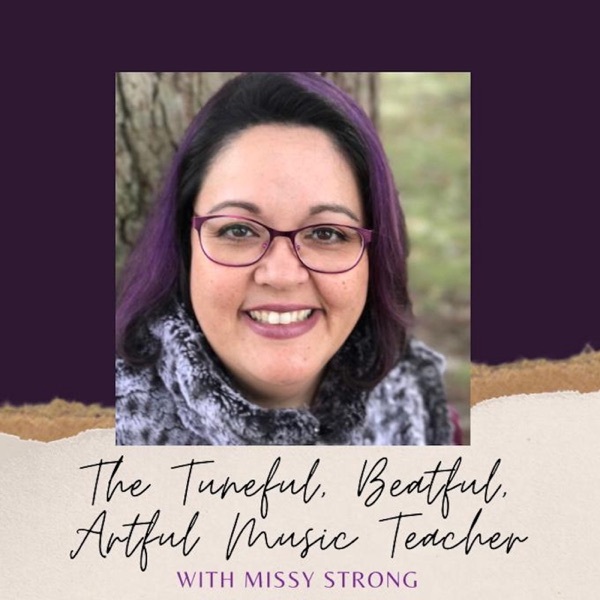 I love talking about teaching music, pedagogy, students, what it’s really like to be a music teacher. The post Bridges to the Community, Part 1: Ask Me Sheets | S1E06 Lillie Feierabend appeared first on Feierabend Association for Music Education | A tuneful, beatful, artful learning community. The post The Feierabend Non-Negotiables, Part 2 | S1E05 appeared first on Feierabend Association for Music Education | A tuneful, beatful, artful learning community. While there is an inherent flexibility in Dr. Feierabend’s philosophy and programs, in this episode (Part 1 of 2) he describes what have come to be known as the “Feierabend Non-Negotiables” – those principles that, in his estimation, underpin excellent pedagogy and practice in the music classroom. The post The Feierabend Non-Negotiables, Part 1 | S1E04 John appeared first on Feierabend Association for Music Education | A tuneful, beatful, artful learning community. The post Reflections on First Steps – a Teacher Trainer’s Perspective | S1E03 appeared first on Feierabend Association for Music Education | A tuneful, beatful, artful learning community. John Feierabend and Missy talk about Conversational Solfege, Dr. Feierabend’s curriculum that teaches music literacy with a sound before sight approach. Learn about the 12 Steps of Conversational Solfege and how through it, students learn to become independent musical thinkers! The post Conversational Solfege – An Overview | S1E02 appeared first on Feierabend Association for Music Education | A tuneful, beatful, artful learning community. John Feierabend describes the “8-Part Workout” of First Steps in Music. Learn about the Kodály foundations of FS, how it was developed, and why elementary general music teachers around the globe love this program! The post First Steps in Music – An Overview | S1E01 appeared first on Feierabend Association for Music Education | A tuneful, beatful, artful learning community.